The following resources are provided for Riotous Retirement promotional purposes. Want to know what life is really like in a retirement village? Find out in the book Riotous Retirement. It is a collection of fifteen short stories each illustrating some aspect of life in a community for the retired. You would think that over 55 year olds who have so many of life’s luxuries at hand—from bowling greens and craft rooms to swimming pools and gyms, would be mature enough to agree to live together in harmony. Granted they live in closer proximity to each other than in regular suburbia, but a little space is not much to sacrifice for such amenity and convenience. If you thought like this you would be wrong of course! 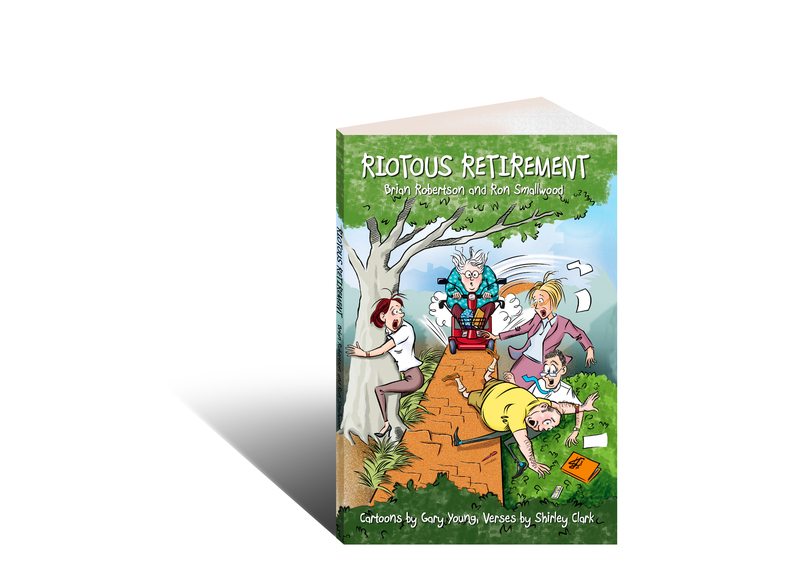 The stories in Riotous Retirement prove that the exact opposite is the case. Groups of retirement village residents just never agree about anything! When people buy into a retirement village they become part of a community. This requires that they contribute collectively to decisions concerning the management of all this luxury. Invariably there are many who are not used to such compromise. They believe that only they are right. Not a good start in a communal living environment! These differences of opinion are always blown up out of all proportion and if not by the participants, then certainly by the time the stories have been told a few times. 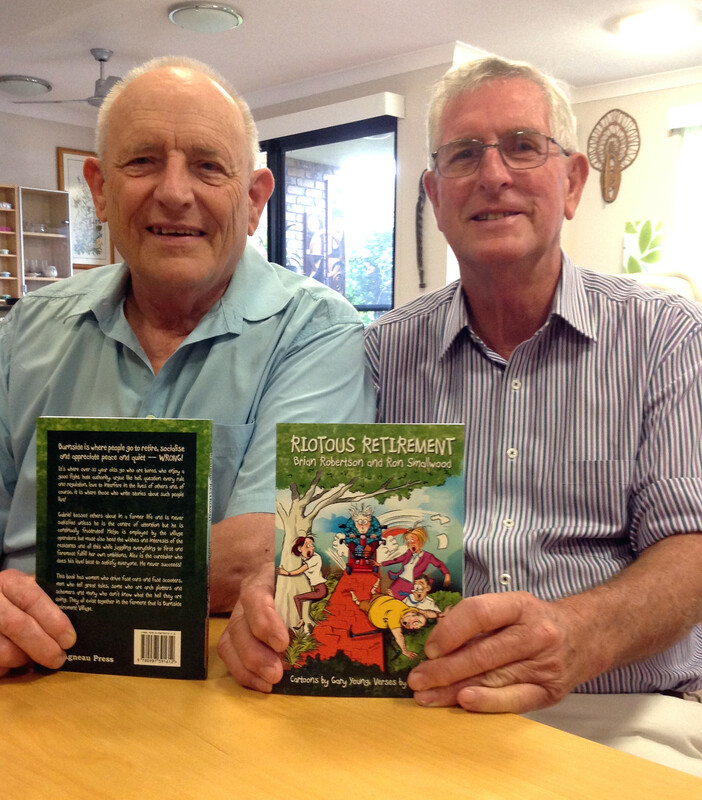 The two authors of Riotous Retirement have, shamelessly, taken advantage of each and every such situation! 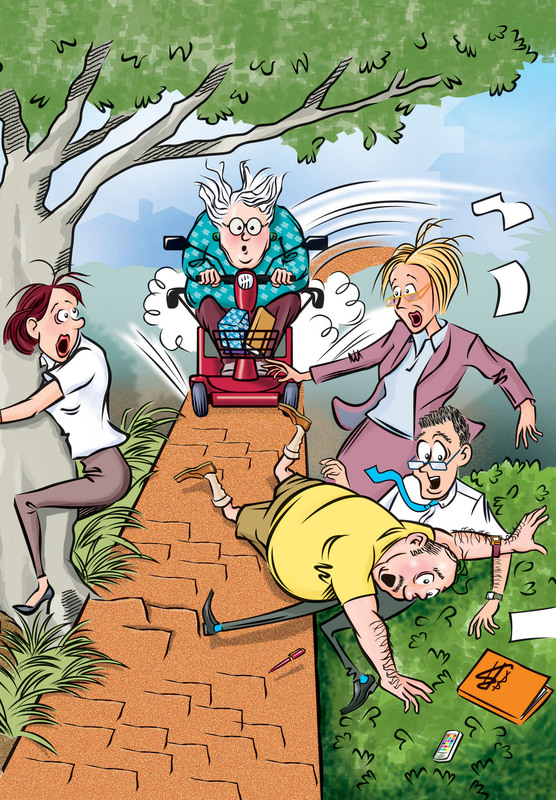 Listen to a favourable review of "Riotous Retirement" on the 612 ABC Brisbane "Breakfast" radio show with Spencer Howson which aired on 20th June 2014. The segment about "Riotous Retirement" starts about 2:50. 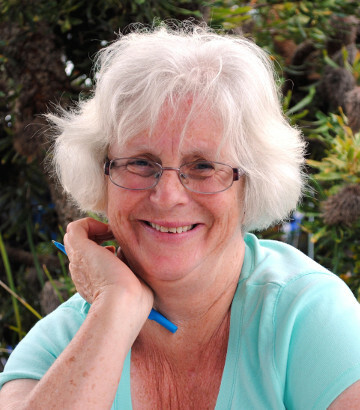 See the About the Authors page. Brian Robertson (left) and Ron Smallwood (right).